What Are the Benefits of Fruit Pectin? Quince is a fruit rich in pectin that contains 1.5 grams of fiber. 4 How Many Calories in Applesauce? 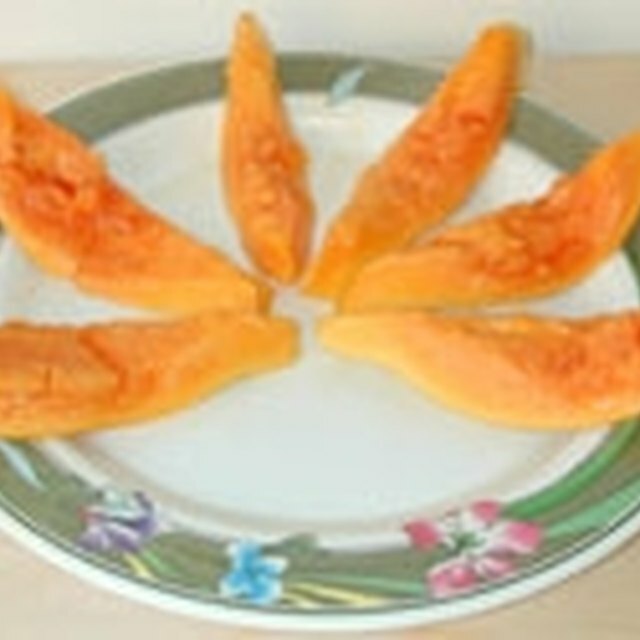 Pectin is a type of fiber found in some fruits and vegetables. It is a soluble fiber, meaning it can dissolve in water. Insoluble fiber, on the other hand, works by binding with water to add bulk to the stool. Soluble fiber binds with bile acid instead of water and could reduce cholesterol levels while helping prevent constipation. Pectin assists with digestion by stimulating enzymes in the intestines and pancreas. It has the ability to help lower blood sugar levels because it delays the absorption of glucose, slowing its entry into the bloodstream. The fiber in pectin may also assist intestinal bacteria with creating B vitamins. Fruit pectin can also be used to thicken foods like jams or puddings and is available in a liquid or powdered form, usually in the canning section. Sources of pectin include raisins, apples, sunflower seeds, bananas and tomatoes, according to "The Complete Idiot's Guide to Vegan Living." What Is Sparkling Cider Made of?